Buying pre-sale tickets online is pretty self-explanatory: a password’s provided as a benefit to a preferred group (superfans, for example), to allow them to buy tickets online before they’re open for general sale. For example, last weekend NoisePop newsletter recipients were provided the pre-sale code “beethousand” for pre-sale tickets for the Guided By Voices show at The Warfield. Sounds simple, right? But add a notoriously customer-service impaired ticket vendor, and things get a lot less simple. When the pre-sale password for the GBV show didn’t work on ticket sales site Ticketmaster, one fan (you may remember him from the Top Ten Top Twenties) used Twitter in an attempt to figure out the problem. For any fan who went to Google to solve the problem, it was obvious there was some confusion; even Robert Pollard’s site listed a different password and purchase times. So fans resorted to Google and Twitter, figured out the problem, and communicated the answers to each other – publicly, and without any help from the company that might have been responsible for the problem in the first place. “After I Tweeted the correct code out to my friends we were all able to purchase tickets. I bought 6,” confirms Matt Graves, Guided By Voices fan who also works in communications at Twitter. Problems buying tickets from the vendor is hardly a new complaint — Ticketmaster, referred to as “ticketbastard” by some, has had a customer service problem for a very long time. Between technical errors and lawsuits, many say that Ticketmaster fails the music fan, and often the theater or sports fans, too. Enter Ticketfly, a ticketing and social marketing platform based in San Francisco, co-founded by Andrew Dreskin. If platforms like Twitter can solve problems, perhaps implementing a social element into the ticketing process online can, too. Andrew Dreskin’s name is familiar to those following the live music business as he was the co-founder, president and C.E.O., of TicketWeb, the first company to sell event tickets over the Internet. 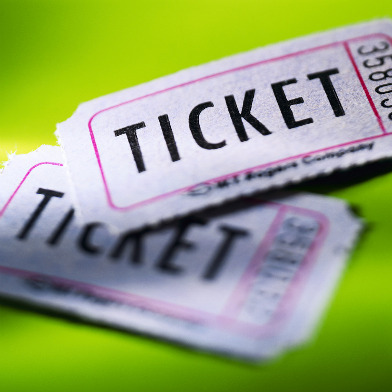 TicketWeb was acquired by Ticketmaster in 2000. Ticketfly is not perfect, but they are new, and they do respond (using twitter and facebook) to those who have any trouble purchasing tickets with their platform. Ticketfly’s platform takes an intrinsic measure toward immediate customer service for fans buying tickets, whether it’s through email, twitter, and Facebook and builds this community element into their platform. So far, all of my experiences with them have been smooth, and TicketFly clearly focuses on creating a positive user experience, introducing a new angle in the everyday B2B processes in the ticketing arena: community. If companies like Ticketfly willingly interact with users who’ve had to resort to crowdsourcing solutions for their Ticketmaster problems, how much longer will venues, artists, and consumers will stick with a company that makes it harder for willing consumers to hand over their money? Perhaps it’s too soon to argue that we all jettison a venerable company like Ticketmaster in favor of one startup or another, but if I were Ticketmaster, I’d be looking over my shoulder right now.